is an article on the Great Silver Melt of 1980.
recent exhibit on the Scovill company's token and medal production. of (guess who?) The Cook Islands. out. Have a great week, everyone. of charge at the firm’s web site (www.numislit.com)." depicting colonial coins in the collection of Dr. Charles Clay; Dr.
many other desirable early American numismatic publications. illustrated and the pieces well described, including pedigrees. The hardbound has a sewn binding and adequate interior margins. it is a free book - the numismatic literature bargain of the year. enjoyable visits with Jules and his wife Iona in Wilmington, DE. pieces and issued by Paramount International, then of Dayton, Ohio. It pictured every one of the medals! you received from Franklin Mint? Did you wonder why you did it? medal's collector lore. Let's hope someone saved all that lore!" the only source of information about certain numismatic issues. to initiate photography of all the gold coins in the Roman department. This work has begun and as a first step in making the results public. for greater consistency in size and background." have several, including a 1990 cent struck over a 1989 dime.)" sales, but I don't recall a 1913 nickel. Perhaps I'm wrong." anyone have a 1957 convention program handy? That's another place to look. This is what makes numismatic research fun. a good time trying to make me crazy." us who the mystery exhibitor was, before the rest of us go crazy, too? coin department for the day. There wasn't much business, but Mr.
to do so I threw at price at him out of the clear blue sky. "$75.00"
I said, "I'll give you $75.00 for both coins." best he had ever seen. purchases on my own, and eventually, to run the Baltimore department." "What are those?" I asked. "No value foreign coins," he answered. little damage, outside of tumbled chimneys and broken glass." nearly $300,000,000 in gold and currency locked up in there. self-contained water supply to save the building. explosive noises like the firing of artillery," Leach remembered. from the explosions were heavy enough to make the floor quiver." To read the complete article, see: Full Story"
coins are now on their fourth portrait? is now in its 9th year? create their own unique portraits as well?" and will go into circulation in October. papacy, from 1978 to 2005." by other member-states of the European Union." be a poor custodian of national numismatic art and artifact. "safety" seems to be the Smithsonian Institution. I suppose this is inevitable." "What happens if a penny is worth more than 1 cent? than a cent to make a penny. half a cent on each new one it mints. a spokesman said that such issues were for Congress to decide." Lincoln Cent story made the front page of the New York Times. about October 1, 2005. But the U.S. Mint is not losing money. Yet! are not losing money. Yet! cent in the present composition. will be abolished. We will have no cent coins of 2010. Next week: How the cents can go out with a bang." 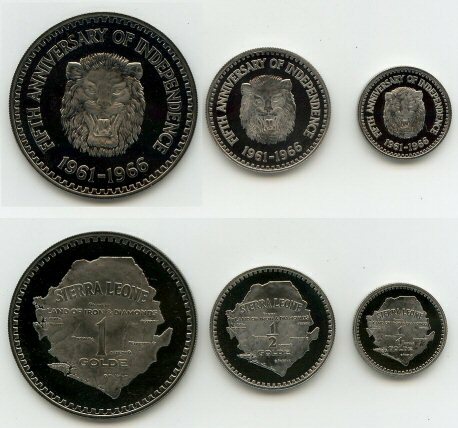 II and produced its five cent coins from a new alloy called 'tombac'. silver to cash money. It was exciting." direct to the refiner in NYC. No middleman. We got good prices. I was only a go-fer. The owner became a multi-millionaire." went. Who had time to sort them for their numismatic value? [What other numismatic gems turned up in the buckets that year? Gardens, Murrells Inlet, South Carolina - what a place!! Manship and CP Jennwein,  just to name a few). Jovine, Alex Shagin, Don Everhart II, and Eugene Daub. of art within that natural setting. sculpture by American artists in the world." marvelous coins we collect and study. keeps his Military Medal hidden in a drawer. award, and only gets it out of the drawer on Anzac Day. saying war medals should never be sold. had always refused offers when he was still alive." "It's such a prestigious award ... it's New Zealand's." Inc., Fredericksburg, VA., Copyright 1984, New Edition, 1996). other metals in production of their products. was in circulation during this period. claimed was tantamount to the issuance of a currency. Mexico, Costa Rica, Columbia and Guatemala. added in place of government legends. the Columbia Exposition in 1893." token and medal making (in fact one section, "The Mint at Waterbury"
pages 397 to 417, actually discusses this very technology). been rolling metal strips and blanking since their beginning (1802). many of these swallows came home to roost. they turned out to be) issues." disrepute among international coin collectors. Mint haven’t told the whole truth about the coins. Trade Centre towers in September 2002." have to produce a sales report until September." coin commemorating the Twin Towers tragedy. claimed that by then they had already made $US150,000 from the deal." twice the weight of the ruble). close to 1/3, 2/3 and 1 1/3 of a troy ounce, respectively. the denominations are given as "3 [or 6 or 12] RUBLES IN SILVER". though of course there are NCLT issues out there." pieces each (they were also minted in gold in larger quantities). of strange things to a coin, but it's no Fountain of Youth. last year we passed House Bill 8 (2005), which became Act 21. House Bill 8 created the Hawaii Medal of Honor. Tuesday, April 18, 2006 at 10 a.m. in the House Chambers." are being made by the Honolulu Mint." Northumbria when Bamburgh was the seat of power. to the British Museum in London." made up 7th century England." was asked to investigate just before Easter. Officers do not believe the medals have been stolen, however." in particular is believed to be worth a lot of money. Aldeburgh, who was the first woman to receive such an honour. a civilian can win. The highest is the George Cross. was called out to rescue two Royal Engineers at Thorpeness. died and the other was badly injured. potions like tar remover, bug remover and leather conditioner. set of wheels look like new." [I wonder if the kit could also be used by a "Note Doctor"
pennies -- some 300,000 of them." of colorectal cancer, which a family member suffers from. don't want anybody to start thinking, `This guy's cracked.'" about 56,000 deaths in the United States each year." ride a motorcycle for his mid-life crisis." in the northern city of Kiel said Thursday." still be exchanged for about 30,000 euros ($37,000). bottleneck in local sewers, where most were fished out."